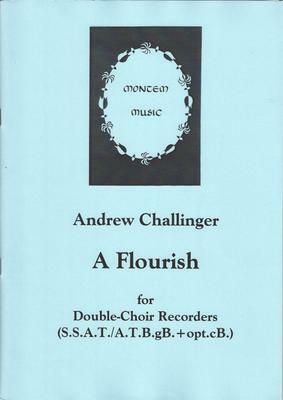 This short piece was designed for massed playing to celebrate the fortieth anniversary of the Somerset SRP. There are two opposing groups - one high and one low and material is passed between them. The great bass is essential and there is a part for optional contrabass. Not particularly difficult, though some of the passagework needs a bit of practice. What do you want to know about A Flourish?